Just released by award winning, best selling author, Stacey Rourke and only 99 pennies for a limited time! Click Here to Buy! Aubrey Evans is living every author’s dream; her sizzling romance novel is being turned into a blockbuster film. She would be celebrating this momentous event, if she wasn’t busy fighting over every tiny production detail with the maddeningly cavalier director, Kole Camden. Can the introverted author resist the charms of Hollywood’s sexiest leading man? Or will love find her in the City of Angels? 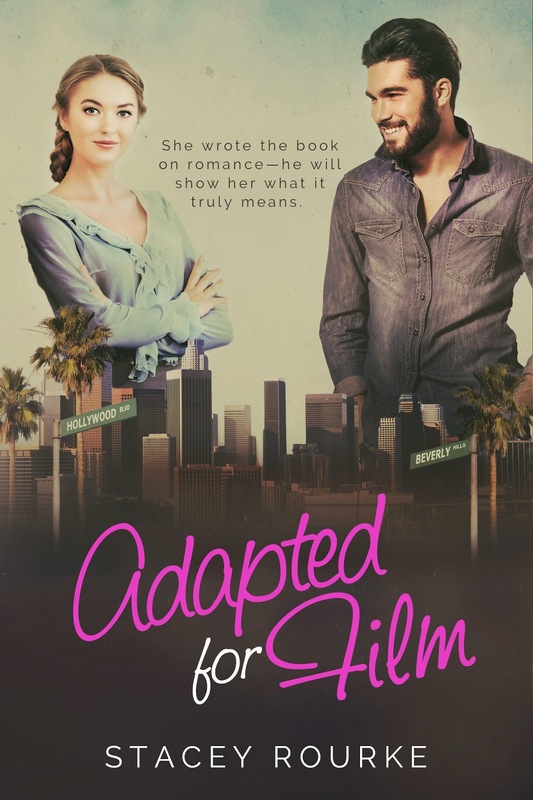 Adapted For Film was a super sweet contemporary romance and an enjoyable one at that. This is my first Stacey Rourke book and my first book that’s based on a film’s set. So it was super fun. The book starts with Aubrey talking to a reporter about her love story and her engagement. We don’t know who Aubrey is engaged to and we are in suspense as to who the guy is almost till the end. 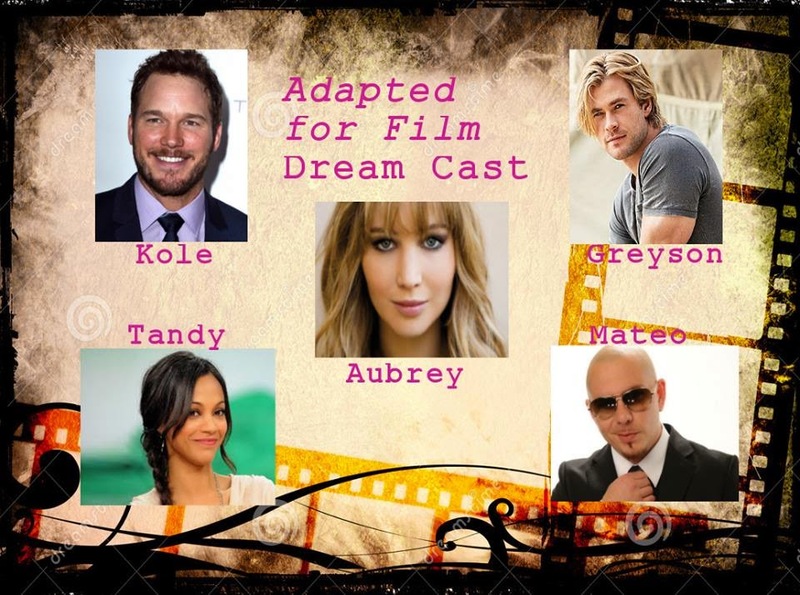 Aubrey Evans is a bestselling romance author whose book is being made into a movie. This is the best thing that could happen to any author and Aubrey is on the moon with this news. Except she has to fight with the movie’s director, Kole Camden for the tiniest thing. Soon enough Aubrey and Kole come to an understanding and even form a good friendship. The book starts in a unique and engaging manner and the story itself is really sweet. There was no question of a love triangle in this book, because I knew from the beginning who I wanted Aubrey with and I was pretty sure that’s what will happen. Another thing was that the chemistry between Greyson and Aubrey was the kind that burns out soon enough. They never would have lasted. But Kole and Aubrey on the other hand the slow burning chemistry that just grows with time. I absolutely loved Aubrey’s best friend. She was with her all through her journey. Aubrey’s snark and weird sense of humor is another reason I enjoyed this book. I also loved how the author developed Kole and Aubrey’s friendship. The one thing I missed was the actual romantic relationship between ‘the couple’. The ended up together in the end and I felt like the book was incomplete. I wanted more of them. But overall it was a light-hearted, fun and flirty book. to a nonthreatening cement turtle by the edge of the gazebo. My voice failed me, coming out in a raspy yelp. sexiest men on the planet. That almost never happened. energy between us alive with desire. Mmmmm …. Yes Please! Ready for more? Pick up your copy today for only $.99! Also join Stacey’s online launch party with a star-studded line up of some of today’s hottest authors for you chance to win some AMAZING prizes! Sign up for Stacey’s newsletter HERE!